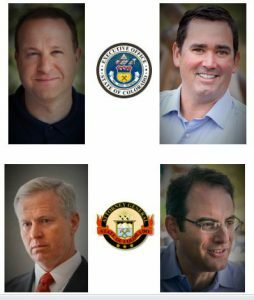 The Board of Directors of the Colorado Chamber of Commerce has agreed to oppose Initiative 97, “Increased Setback Requirement for Oil and Natural Gas Development,” which has qualified for the November ballot. The measure, which will be called Proposition 112 on the ballot, would amend state statutes, not the Colorado Constitution. The ballot title and submission clause can be found on the Colorado Secretary of State’s Web site. Berry and Furman urged CACI members and other businesses across the state to come together to fight Initiative 97 and financially support the effort to defeat the measure (see below). A report issued in July by the non-partisan Colorado Oil and Gas Conservation Commission stated that the initiative would prevent 85 percent of non-Federal land in the state from being explored for oil-and gas production. More than half of the land in the state would be off-limits to new energy development. COGCC is charged by the legislature with balancing oil-and-gas production with protecting the environment, wildlife and public safety-and-health. An estimated 54% of Colorado’s total land surface would be unavailable for new oil and gas development by adopting the buffer zone setbacks and federal land exemption proposed by initiative #97. Of the non-federal land in Colorado, 85% would be inaccessible using these same criteria. 78% of Weld County surface land (85% of non-federal land) would be off-limits to new oil and gas development. In Colorado’s top five oil and gas producing counties combined, 61% of the surface acreage (94% of non-federal land) would be unavailable. “Vulnerable areas” buffers, which initiative #97 defines to include a range of surface hydrologic features, would have a significantly larger impact than “occupied structure” buffers on making surface lands inaccessible to new oil and gas activity. In addition, a report by the REMI Partnership found that Initiative 97 would cost the state 100,000 jobs by 2030 and harm the state’s economy. The REMI Partnership includes the Common Sense Policy Roundtable, Colorado Concern, Colorado Bankers Association, Denver South Economic Development Partnership and Colorado Association of REALTORS. The third and final draft of the section for Initiative 97, which will go into the legislature’s Bluebook, has been completed. The Bluebook will be mailed to all registered voters later this month after the final version of the Bluebook passes muster with the Legislative Council. The third draft analyzes the measure and includes arguments for and against the measure. The pro-con arguments were submitted by proponents and opponents of the initiative. For more information on Initiative 97, contact Loren Furman, CACI Senior Vice President, State and Federal Relations, at 303.866.9642. “Oil and gas industry pumping in millions to defeat Colorado well setback measure,” by Greg Avery, The Denver Business Journal, September 6th. “Initiative 97, Oil-and-Gas Well Setback Measure, Qualifies for November Ballot,” Colorado Capitol Report, September 4th. House Bill 18-1128, Concerning Strengthening Protections for Consumer Data Privacy, went into effect on September 1st. 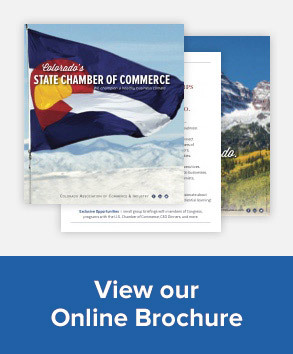 The Colorado Chamber lobbying team went to great lengths to work on this bill with a coalition of our members to make sure the bill addressed our members’ concerns that were raised when the bill was first introduced. Given that identity theft is one of the fastest growing crimes in America, this legislation is an important step forward in protecting Colorado consumers. Per the new law, all persons, commercial entities, or governmental entities that maintain, own, or license personal identifying information (PII) of Colorado residents are required to report certain data breaches. Should a covered entity experience a data breach that it reasonably believes to have affected 500 or more Colorado residents, it is required to provide notice of the breach to the Colorado Attorney General. This notice should be sent to the Consumer Protection Program Manager at databreach@coag.gov. A copy of the notice provided to Colorado residents. Please DO NOT provide the Attorney General with the PII that was breached. If the office requires additional information, someone will reach out to the primary contact as described above to request that information. Notice must be provided in the most expedient time possible, without unreasonable delay, and within 30 days after the date of determination that a security breach has occurred. Limited exceptions may apply. For additional information on Colorado’s new data protection laws, including breach notification requirements, please visit the FAQ’s page.